History of Water 1: the struggle for our daily water. Water in three states: liquid, solid (ice), and water vapor(cloud) in the air. Clouds are accumulations of water droplets, condensed from vapor-saturated air. Water covers 71% of the Earth’s surface, and is vital for all known forms of life. 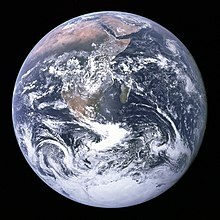 On Earth, 96.5% of the planet’s water is found in seas and oceans, 1.7% in groundwater, 1.7% in glaciers and the ice caps of Antarctica and Greenland, a small fraction in other large water bodies, and 0.001% in the air as vapor, clouds (formed of solid and liquid water particles suspended in air), and precipitation. Only 2.5% of the Earth’s water is freshwater, and 98.8% of that water is in ice and groundwater. Less than 0.3% of all freshwater is in rivers, lakes, and the atmosphere, and an even smaller amount of the Earth’s freshwater (0.003%) is contained within biological bodies and manufactured products. Water on Earth moves continually through the water cycle of evaporation and transpiration (evapotranspiration), condensation, precipitation, and runoff, usually reaching the sea. Evaporation and transpiration contribute to the precipitation over land. 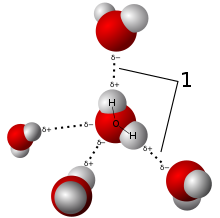 Water is the chemical substance with chemical formula H2O: one molecule of water has two hydrogen atoms covalentlybonded to a single oxygen atom. 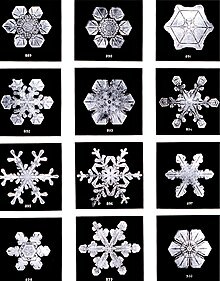 Water appears in nature in all three common states of matter (solid, liquid, and gas) and may take many different forms on Earth: water vapor and clouds in the sky, seawater in the oceans, icebergs in the polar oceans, glaciers and rivers in the mountains, and the liquid in aquifers in the ground. Water is a good polar solvent and is often referred to as the universal solvent. Substances that dissolve in water, e.g., salts, sugars, acids, alkalis, and somegases – especially oxygen, carbon dioxide (carbonation) are known as hydrophilic(water-loving) substances, while those that are immiscible with water (e.g., fats and oils), are known as hydrophobic (water-fearing) substances. Most of the major components in cells (proteins, DNA and polysaccharides) are also dissolved in water. Pure water has a low electrical conductivity, but this increases with the dissolution of a small amount of ionic material such as sodium chloride. At 4181.3 J/(kg·K), water has a high specific heat capacity, as well as a high heat of vaporization (40.65 kJ·mol−1), both of which are a result of the extensive hydrogen bondingbetween its molecules. These two unusual properties allow water to moderate Earth’s climate by buffering large fluctuations in temperature. The maximum density of water occurs at 3.98 °C (39.16 °F). It has the anomalous property of becoming less dense, not more, when it is cooled to its solid form, ice. During freezing, the ‘open structure’ of ice is gradually broken and molecules enter cavities in ice-like structure of low temperature water. There are two competing effects: 1) Increasing volume of normal liquid and 2) Decrease overall volume of the liquid. Between 0 and 3.98 °C, the second effect will cancel off the first effect so the net effect is shrinkage of volume with increasing temperature. 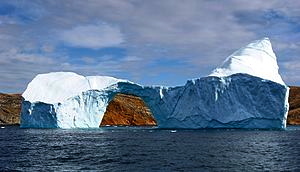 It expands to occupy 9% greater volume in this solid state, which accounts for the fact of ice floating on liquid water, as in icebergs. The density of liquid water is 1,000 kg/m3 (62.43 lb/cu ft) at 4 °C. Ice has a density of 917 kg/m3 (57.25 lb/cu ft). Water is miscible with many liquids, such as ethanol, in all proportions, forming a single homogeneous liquid. On the other hand, water and most oils are immiscible, usually forming layers according to increasing density from the top. As a gas, water vapor is completely miscible with air. Elements which are more electropositive than hydrogen such as lithium, sodium,calcium, potassium and caesium displace hydrogen from water, forminghydroxides. 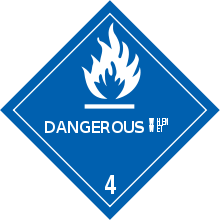 Being a flammable gas, the hydrogen given off is dangerous and the reaction of water with the more electropositive of these elements may be violently explosive. Water can dissolve many different substances, giving it varying tastes and odors. Humans and other animals have developed senses that enable them to evaluate the potability of water by avoiding water that is too salty or putrid. The taste of spring waterand mineral water, often advertised in marketing of consumer products, derives from the minerals dissolved in it. However, pure H2O is tasteless and odorless. The advertised purity of spring and mineral water refers to absence of toxins, pollutants andmicrobes, not the absence of naturally occurring minerals. Strong evidence suggests that liquid water is present just under the surface of Saturn’s moon Enceladus. Recent evidence points to the existence of water ice at the poles of Mercury. Water ice may also be present on Ceres and Tethys. Water and other volatiles probably comprise much of the internal structures of Uranus and Neptune and the water in the deeper layers may be in the form of ionic water in which the molecules break down into a soup of hydrogen and oxygen ions, and deeper down as superionic water in which the oxygen crystallises but the hydrogen ions float around freely within the oxygen lattice. Some of the Moon’s minerals contain water molecules. For instance, in 2008 a laboratory device which ejects and identifies particles found small amounts of the compound in the inside of volcanic rock brought from Moon to Earth by the Apollo 15 crew in 1971. NASA reported the detection of water molecules by NASA’s Moon Mineralogy Mapper aboard the Indian Space Research Organization’s Chandrayaan-1 spacecraft in September 2009. Water covers 71% of the Earth’s surface; the oceans contain 96.5% of the Earth’s water. The Antarctic ice sheet, which contains 61% of all fresh water on Earth, is visible at the bottom. Condensed atmospheric water can be seen as clouds, contributing to the Earth’s albedo. The collective mass of water found on, under, and over the surface of a planet is called the hydrosphere. Earth’s approximate water volume (the total water supply of the world) is 1,338,000,000 km3(321,000,000 mi3). 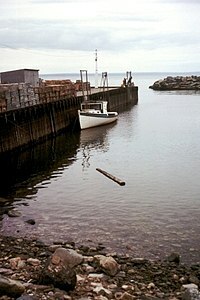 Liquid water is found in bodies of water, such as an ocean, sea, lake, river, stream, canal, pond, orpuddle. The majority of water on Earth is sea water. Water is also present in the atmosphere in solid, liquid, and vapor states. It also exists as groundwater in aquifers. The water cycle (known scientifically as the hydrologic cycle) refers to the continuous exchange of water within the hydrosphere, between the atmosphere, soilwater, surface water, groundwater, and plants. Most water vapor over the oceans returns to the oceans, but winds carry water vapor over land at the same rate as runoff into the sea, about 47 Tt per year. Over land, evaporation and transpiration contribute another 72 Tt per year. Precipitation, at a rate of 119 Tt per year over land, has several forms: most commonly rain, snow, and hail, with some contribution from fog and dew. Dew is small drops of water that are condensed when a high density of water vapor meets a cool surface. Dew usually form in the morning when the temperature is the lowest, just before sunrise and when the temperature of the earth’s surface starts to increase. Condensed water in the air may also refract sunlight to produce rainbows. Water runoff often collects over watersheds flowing into rivers. A mathematical model used to simulate river or stream flow and calculate water quality parameters is hydrological transport model. Some of water is diverted to irrigation for agriculture. Rivers and seas offer opportunity for travel and commerce. Through erosion, runoff shapes the environment creating river valleys anddeltas which provide rich soil and level ground for the establishment of population centers. A flood occurs when an area of land, usually low-lying, is covered with water. It is when a river overflows its banks or flood from the sea. A drought is an extended period of months or years when a region notes a deficiency in its water supply. This occurs when a region receives consistently below average precipitation.